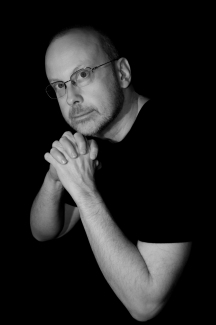 News and views from Hugo and Nebula Award-winning writer ROBERT J. SAWYER, author of 23 science-fiction novels including FlashForward (basis for the ABC TV series), Triggers, and Quantum Night. Member of the Order of Canada. I have a Patreon page! Did the U.S. have to drop atomic bombs on Japan? Donald Trump is president. How the hell did that happen? by Rob - May 10th, 2011. Come join me for the conclusion of the book tour for Wonder, the final volume of my WWW trilogy: Thursday, May 19, 2011, at 7:00 p.m. at McNally Robinson in Winnipeg (Grant Park Mall). Here’s a little interview with me about what to exepct at the event. This was easily the best end to a series I have ever read. I have been following this series since the first book came to a library near me and it is amazing. The first book provided the background information that was needed to start it off and gave so much more, wanting me to read the subsequent sequels. The second book was even better and the third book was just phenomenal. Thank you for giving everyone a great series of books.